One of these was Ms. Niira Radia the head of Vaishnavi Communication, a lady so formidable and well connected, she boasted both Mr. Ratan Tata led Tata group and Mr. Mukesh Ambani led Reliance group, two of India’s largest industrial conglomerates, as her clients. Both Mr. Tata and Mr. Ambani are counted amongst the world’s wealthiest and most influential business leaders. The two magazines have exposed some recordings that the income tax department obtained after placing the phone lines of Ms. Niira Radia under surveillance. Some of these recorded phone conversations were placed before the Supreme Court this week by petitioners Centre for Public Interest Litigation. The full details of how these conversations have reached the light of day are in these magazine stories. In a variety of conversations between end June and early July, 2009 with journalists, industrialists, and business leaders, Ms. Radia appears to reveal a variety of skeletons from India’s civil aviation minister, Mr. Praful Patel’s closet. This at a time when Air India was in absolute financial anarchy, and the Prime Minister’s office was wresting control of the airline away from the the Civil Aviation ministry which was desperately trying to form an international advisory committee which would have Mr. Tata, probably the most respected business leader in India, in a leadership position. 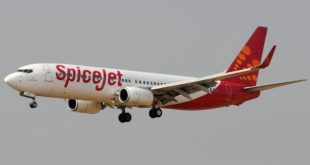 Allegations in the phone conversations with some of India’s most senior journalists, include the systematic pillage of the Indian civil aviation sector, nepotism, selling of bi-lateral rights, and asset-stripping the national carrier Air India to dispose of the remains to Jet Airways headed by Mr. Naresh Goyal and Kingfisher Airlines headed by Dr. Vijay Mallya. Related articles about Air India from this time frame can be read here, here, and here. The recordings make interesting and disgusting listening about what has been long suspected in the aviation industry in India. They are a sub-set from the main Outlook page. The date (YYYYMMDD) and time (HHMMSS). With a journalist, mainly in Hindi, discussing how Air India has been asset stripped to reduce its value prior to any disinvestment purportedly to Mr. Vijay Mallya. “The whole intention of Praful Patel was to strip the airline… huge amounts of kickbacks have taken place in various aircraft purchases… but he’s raped it, asset-strip so that he could give it away to Vijay Mallya and Naresh Goyal… Praful’s a silent partner in Indigo..he’s made at least in the vicinity of 15,000 crores.. and they removed Sunil Arora [a former Chairman and Managing Director of Indian Airlines who made the airline profitable] because he had sent a whole dossier to PM and Sonia Gandhi… Praful wanted him out because he wouldn’t cut deals”. With former Chairman and Managing Director of the erstwhile Indian Airlines Sunil Arora, credited with reviving the airline to profitability at the turn of the century and the crisis period around 9/11. With journalist Surojit discussing the sale of bi-lateral rights and other issues. With Mr. Tarun Das, at that time the Chief Mentor of the Confederation of Indian Industry, now retired. One of the most respected industry leaders in India. With Sunil Arora about Tarun Das meeting the Prime Minister regarding the reviving Air India. The transcript below is of a recording between Mr. Ratan Tata (RT) and Ms. Niira Radia (NR) where they discuss the offer to Mr. Tata to head the international advisory committee for Air India. Mr. Tata subsequently declined the offer. [Somehow I do not accept the assertion of Ms. Radia of Mr. Jadhav being a henchman]. NR: Hi. You’ve got the media chasing me on Mr Tata being approached for becoming the chairman of the international advisory committee for Air India? RT: It’s true. Nothing has happened. He did come to see me. RT: No, no, the current CEO. NR: Jhadav, yeah. He’s Praful’s henchman. NR: Completely. He’s been brought in to safeguard the Boeing deal. NR: So they put out a story saying that, you know, they’re trying to build credibility right now. I got a call from Times of India saying that Mr Tata has been approached. I said I have no comment to make. RT: Yeah, I think that’s what you should keep saying till we hear anything. NR: They are going to run the story in any case because Praful has gone on record to say that you’ve been approached. RT: Let him go on record. NR: We’ll just maintain ‘no comment’. NR: Yeah, yeah. I’ll do that. I’ll maintain ‘no comment’. Yeah, I’ll do that. You landed in London? RT: No I’m sitting on the ground in Tel Aviv. NR: Oh gosh! What happened? RT: The plane is two hours late. We’re all in the plane. NR: Oh, dear me. Oh, gosh. Oh dear me. I’m sorry. You should fly in your own plane. Previous DGCA withdraws report on Kingfisher plane crash-cover-up or shoddy investigation?